For me, 2018 was filled with so many amazing country music moments, it delivered with a vast array of amazing new albums and tours, from already established artists, and gave us some great new artists into the arena too. For most of the summer I had one go to album, that was sure to put me in a good mood and got my feet tapping, I was only introduced to Dierks Bentley just this year, and man I’m glad I was! He released his first album way back in 2003. However, I think the release of most recent number ‘The Mountain’ has really pushed him to the forefront this year. His ninth studio album, released in June 2018, has a feel of both bluegrass and rock; and was well acclaimed as it hit the number 1 spot on Billboards Top Country Albums upon its debut. 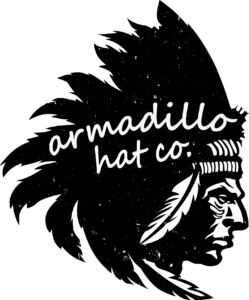 It was written in just 5 days and was inspired by the Telluride Mountains in Colorado. It has a mix of sounds throughout and I think appeals to all tastes, but the common theme with all of the tracks is a feeling of reflection. The first track on the album, ‘Burning Man’, is a collaboration with Brothers Osborne. Combining the dulcet tones of Bentley’s voice with the huskiness of T.J. Osborne, this track takes you on a journey; which is something that is evident throughout the whole album. No partnership with The Brothers would be complete without guitar licks from John Osborne, and they deliver this with a stunning solo mid-way through the song. 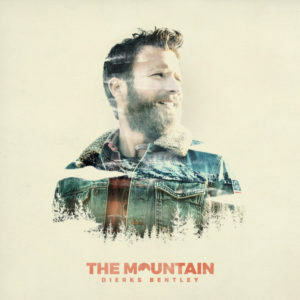 An incredible songwriter, and an equally incredible musician, ‘The Mountain’ is a must listen! I don’t think there is anything better than seeing an artist perform live, and 2018 gave us plenty of choice! Whilst I’ve seen some incredible shows this year from the likes of Brothers Osborne, Darius Rucker and Luke Combs. There’s one artist that really sticks out in my mind as delivering a memorable and electrifying performance. Ladies and Gentleman, I give you, Drake White and The Big Fire. Drake’s first album, “Spark” landed in 2016 and since then this artist has delivered nothing but incredible music and showmanship. 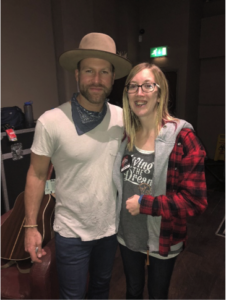 I was lucky enough to see him support Kip Moore back in 2017 and as a support act he blew me away. Coming back this year for his own tour I knew we were in for a special ride. The show took place at the O2 Institute 2, Birmingham. If anyone has ever been to this venue you’ll know it’s a fairly small room that has a really intimate feel. This was absolutely spot on for the Drake White show. Covering a variety of songs from both his debut album and recent EP ‘Pieces’ there wasn’t a moment in the show that you couldn’t feel the energy coming from both Drake, and his band. Going to a Drake White concert is an experience, one that you will certainly never forget. Embarrassingly I haven’t got many to choose from as I only went to one in 2018! However, the inaugural Long Road Festival was one that will stick in my mind forever. Being a midlands girl I was super excited about this being announced just a few miles away from my home! Branded a festival of country, Americana and roots; the organisers had thought of everything. From a great selection of food, to the wellness experiences, and even organised lake swimming! (Although in the cold British autumn I didn’t see many people taking this up!) This wasn’t just my only festival, but also my first and I braved it alone (although I did meet a great group of likeminded girls that I had fun sharing my experience with) thankfully the campsites were clean, felt really safe and had plenty of well-kept facilities. 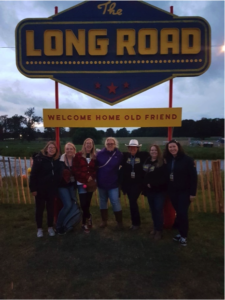 The “Welcome to Long Road” sign proved hugely popular for many a photo, and the various stages had been truly well thought out. One of my favourites being the Honky Tonk Bar; which was so realistic! We even met an American girl and she said it was just like being back home, asides from the British crowd being a lot quieter and more polite. One of my favourite parts of the whole weekend was Sunday afternoon when The Honky Tonk Bar was turned into a celebration of female artists. Where a number of musicians played small acoustic sets, here I was blown away by one third of the Pistol Annies, Angeleena Presley. The loss of headliner Carrie Underwood may at the time have seemed like a huge blow, however there was no one better to fill her boots than cowboy Aaron Watson, who delivered a punchy two hour set to a packed crowd. Family friendly and something for everyone, my tickets are already booked for next year! Whilst some might argue that because her debut album, ‘Jalopies and Expensive Guitars’ came out in 2016 Ashley Mcbryde isn’t technically a new artist, I think the release of ‘Girl Going Nowhere’ has made 2018 a standout year for her. The album has a nice mix of tracks on it, from the catchy ‘Radioland’ to the more bluesy style of ‘Living Next to Leroy’ one thing I would say is there isn’t a dull moment, as you move from song to song you will find yourself eagerly anticipating the next track as they all have such a variety in their sound. She also had the acclaim of supporting Luke Combs on his UK tour this year, and I was lucky enough to see the show. I was a bit sceptical about her being chosen as a support act; an acoustic set before the energy of Mr Combs, I though was an interesting decision, however she did not disappoint. She held her own and the audience were captive in her hands as she stood on stage alone with just her guitar. She totally deserves the promotion to headline at C2C 2019, and I can’t wait to see her perform again. However, one really stand out moment for me was at The Long Road Festival. As I’ve already mentioned each stage was so individual and my favourite, The Front Porch was exactly that, a front porch complete with handy window for the sound guy. It was perfect to sit and listen (on hay bales of course) to a variety of acts as the sound of country music drifted through the Leicestershire air. Mid Sunday morning as the looming feeling of the end of the festival was coming I had a moment where I was sat, with people I had never met before, enjoying listening to Gary Quinn (and his amazing band) and I felt like I was home. This is the thing that I’ve come to learn about country music, and its fans, over the past year. We’ve all got a shared love for the music and it doesn’t matter what walk of life you come from or what’s going on in your life at that moment, three chords and the truth will instantly bring you together. Frank Foster – ‘Til I’m Gone Album Review: Neil gives us his views on this 7th studio album from the independent artist! Randy Houser – Magnolia Album Review: We take a listen to the first big release of 2019!